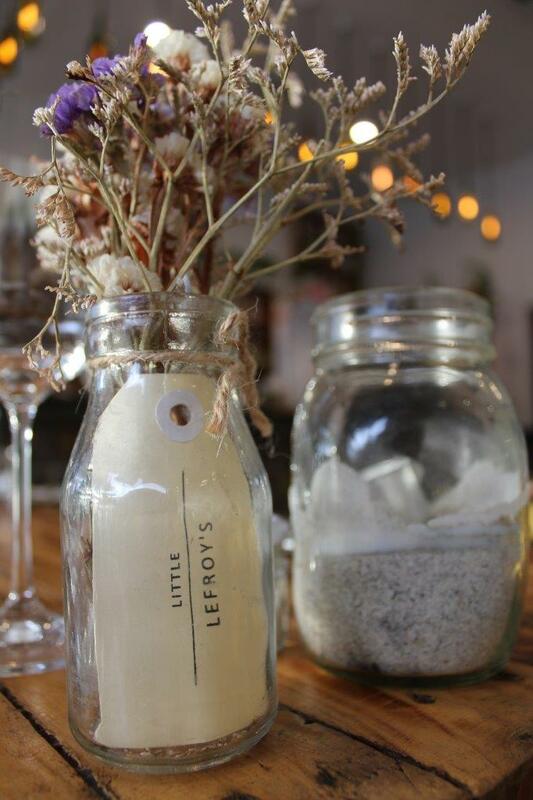 Little Lefroy’s is the labour of love of foodies Cat and Dave Exham, with a passion for serving up honest food and catering for those with food intolerance's. 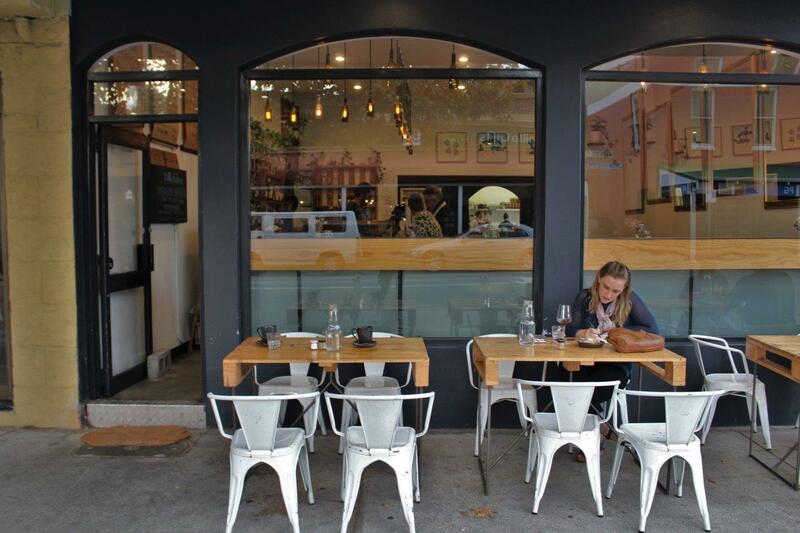 Perched on the corner of South Terrace and Little Lefroy Lane is a little café with a big heart. With Cat being lactose intolerant and Dave a Type 1 diabetic, they understand the difficulties of food intolerance's and strive to make their restaurant available for everyone to enjoy. With the number of people with food allergies and intolerance's rising over the last ten years, the pair knew it was important to accommodate for these people. Many of their dishes contain gluten and dairy free alternatives, and make sure to use ethically and locally sourced quality produce in all their meals. For over 10 years, Dave had dreamed of owning his own place. This was around the same time he met Cat - a fellow food lover who also worked in the hospitality industry. After working in many venues for other people in the industry locally, down south and overseas, Cat and Dave decided it was time to branch out and take the plunge into a owning a café of their own. Lovers of travel, the couple gained inspiration for the place they wanted their cafe to be after they ate their way around Europe. In winter their kitchen produces hearty and warming meals while the summer menu sees light spreads Dave finds reminiscent of his days sitting atop the Cinque Terre overlooking the ocean and enjoying a fresh Tuna Carpaccio. The aim is to do just this, serve people food that invokes memories, or helps them to drift off somewhere else with each bite. 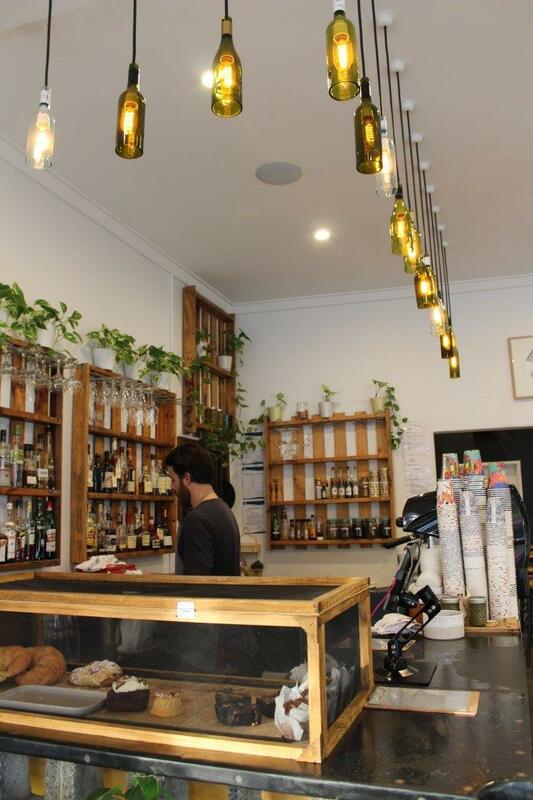 They also have a focus on providing a meeting place for friends to gather over fantastic food where they can take their time to eat, be merry and enjoy the whole atmosphere. The main theme seen on their menu (especially at breakfast time), is healthy wholesome food that Cat, Dave and their friends love to eat. The meat, fruit and vegetables used are all sourced as locally as possible, with a focus on using what is fresh and seasonal. 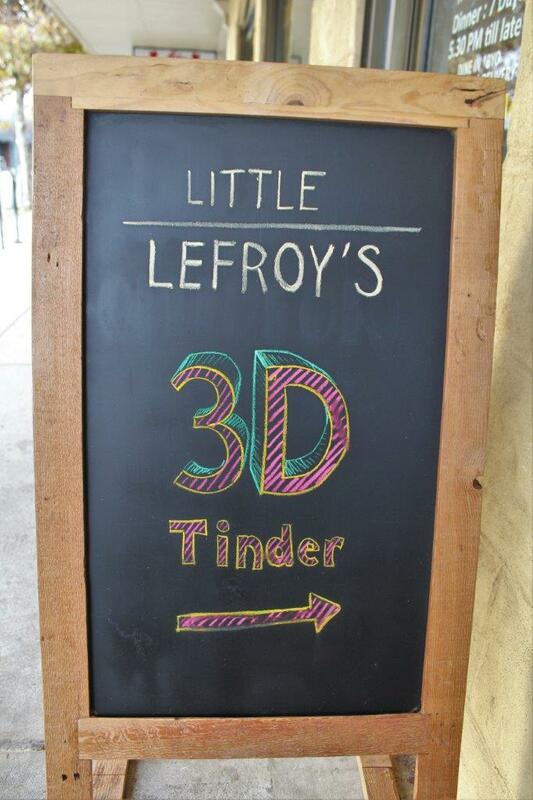 To keep things changing and evolving, Little Lefroy’s refresh their menu’s three to four times year. Dave believes it is important to change things around and execute the new dishes well, so their customer can look forward to trying new things and the exciting anticipation of what might be coming next. Over the past year Dave says he must have eaten at least a hundred of the steak sanga’s (with grass fed sirloin, caramelised onion, tomato, rocket, tomato relish with skinny fries, aioli and the option to add free range bacon you can’t really blame him), but for dinner highly recommends their scallop and black pudding dish which is served with leek puree and crispy salt bush. 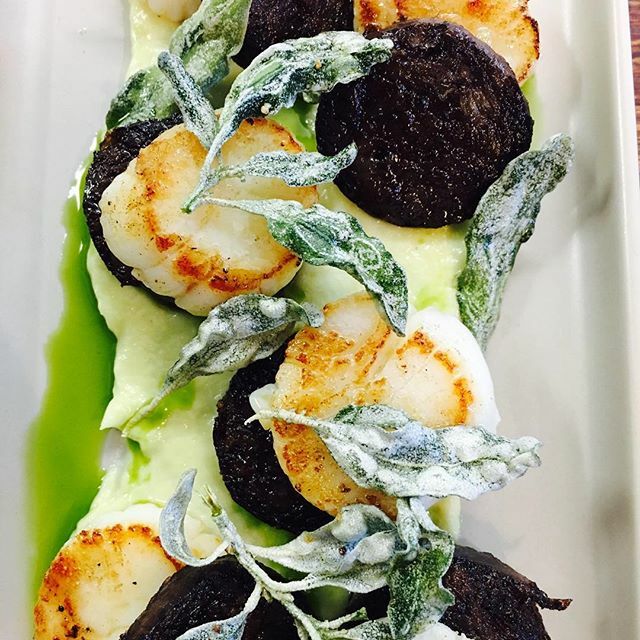 Although people are often put off by what black pudding is before trying it, he says the combination works incredibly well and is worth trying something a bit different. 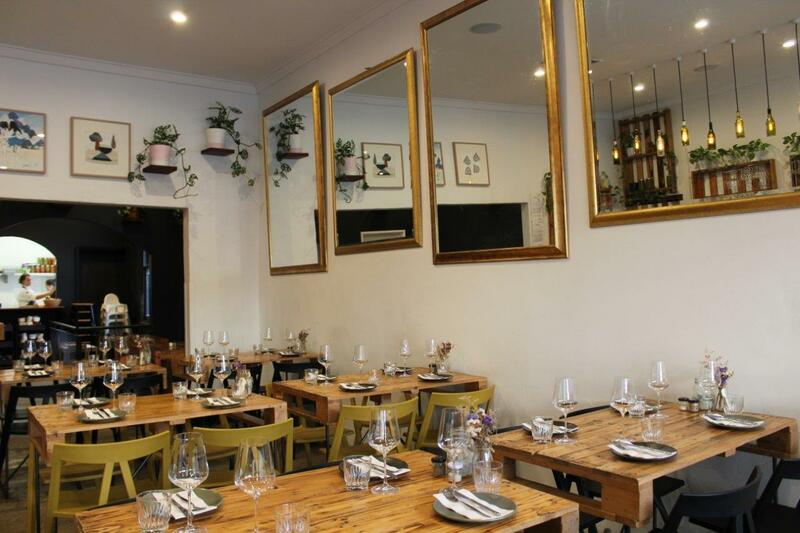 The dinner menu has delicious options like lamb cutlets on a bed of soft polenta with eggplant ragu or grilled baby squid with chorizo, radicchio and currants. Fussy brunch eaters can rejoice with the ‘design-your-own’ breakfast option. With fourteen items to pick and choose between, your breakfast is tailored exactly to your liking. 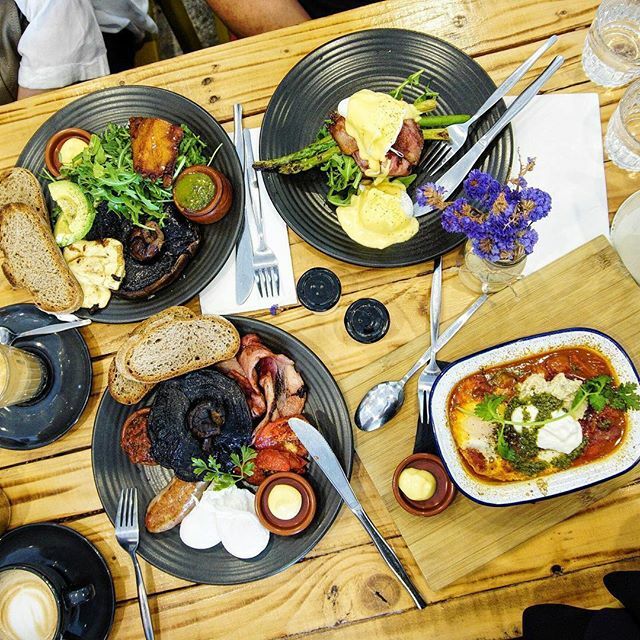 Other breakfast and brunch options include the white anchovie toast (with buffalo mozzarella, herb salad and sourdough) the bacon stack (with potato and corn hash, free range belly bacon, poached eggs, rocket and hollandaise) or their pulled duck wrap (with cucumber, spring onion, coriander and hoi sin). 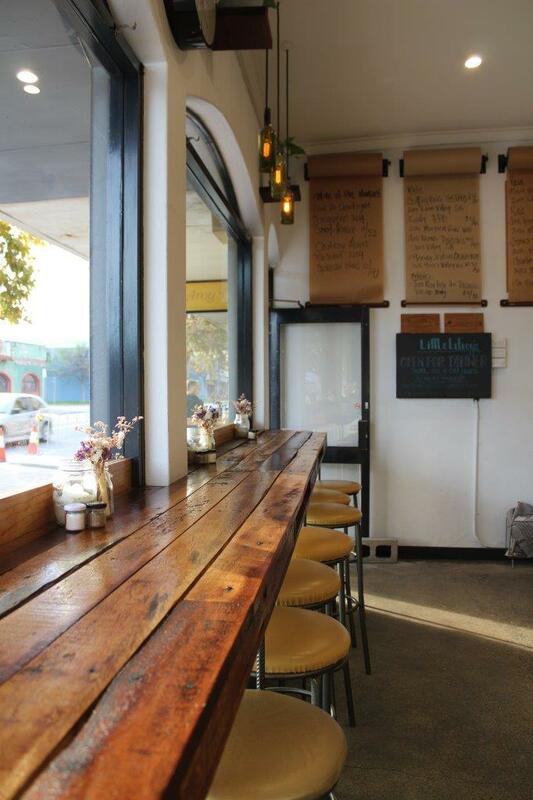 The team at Little Lefroy’s make a conscious effort to reduce their environmental footprint whenever possible, and most of the furniture and fixtures that decorate the café have been up-cycled. These choices were not only environmentally friendly, but also suited their tight budget- especially seeing as they had after all spent most of their savings on purchasing the space alone. Walking in to Little Lefory’s, the fit out is quite amazing, if anything I would have guessed they had an interior designer in to add the style and charm that blankets the entire venue. With help from a friend who is a builder, they developed their recycled theme and were stoked with how it all came together. The coffee bar and counter was in fact made from an old full sized snooker table balanced atop a wall of recycled cinder blocks. 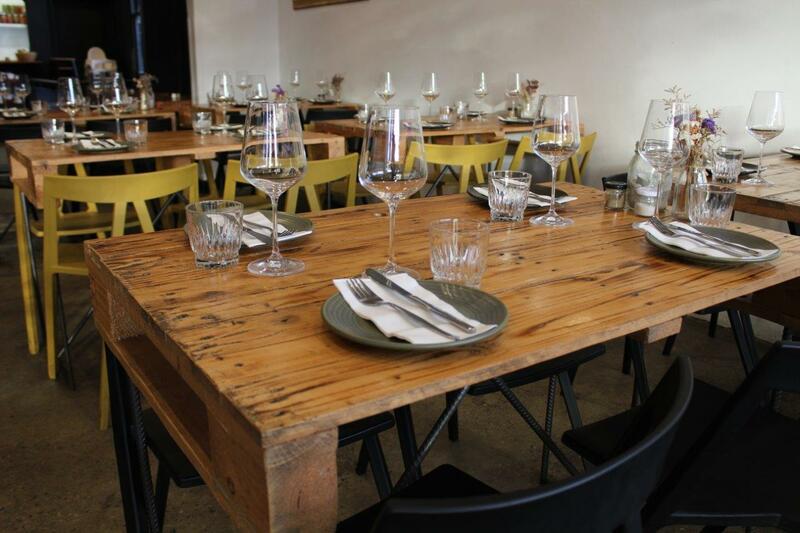 They built the pallet shelves adorning the walls all themselves, as well as the tables and espresso bar mounted on the wall for a street view. The stools tucked underneath were all saved from the Newport hotel and after some sanding and reupholstering are enjoying their new life at Little Lefroy’s. 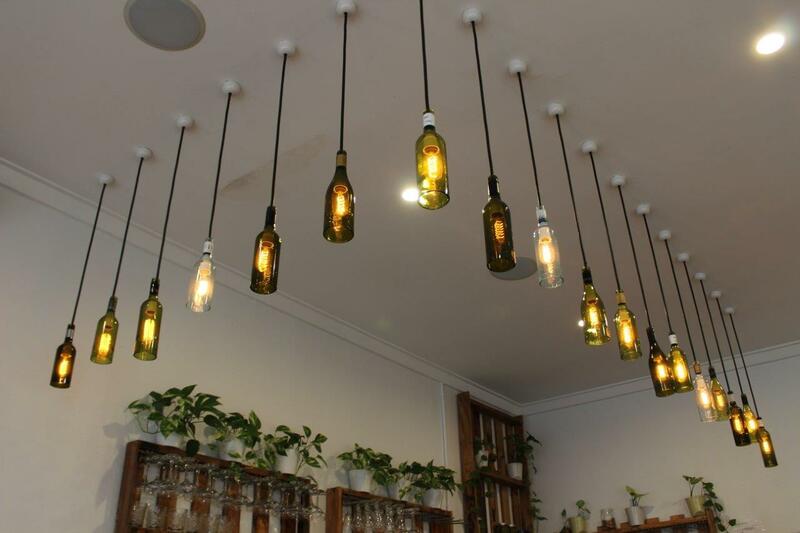 One of my favourite ideas is their wine bottle lights made by passing an electric current through a wire wrapped around the bottles to snap off the bottoms. The results are stunning. After everything was in place, they had just one thing left to do- decide on a name. Dave wanted to call it ‘Atlas’ while Cat had her heart set on ‘Little Lefroy’s’. Compromising, they decided on Little Lefroy’s – you know what they say; happy wife happy life. 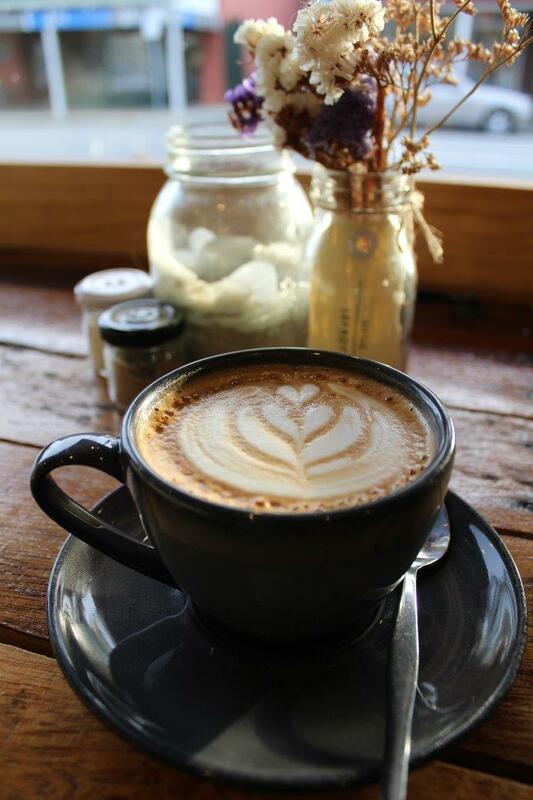 The barista’s at Little Lefroy's use local roasters Yahava after forming a good relationship with them during their venture at a café in the Margaret River region. With their past customers loving the Yahava coffee, Dave said he always intended to continue using their beans at his own cafe. 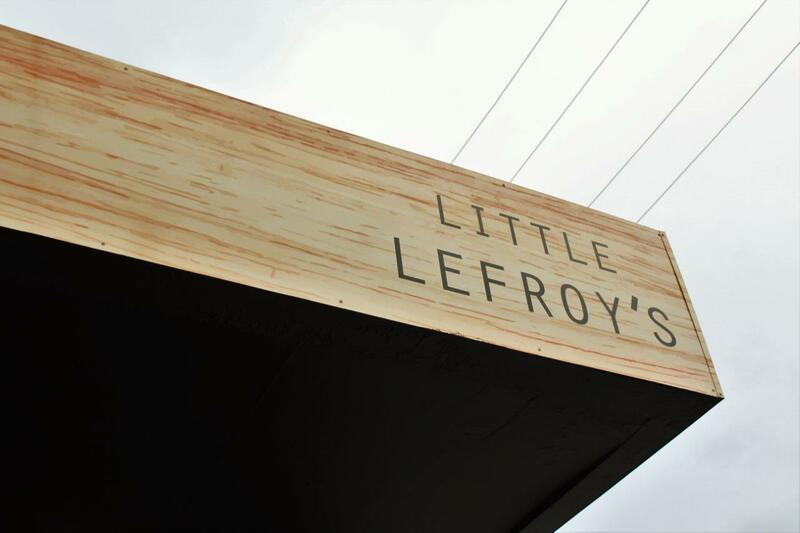 Whether you are after a catch up with friends over coffee or a stellar meal with a loved one, Little Lefroy’s is definitely a must try. 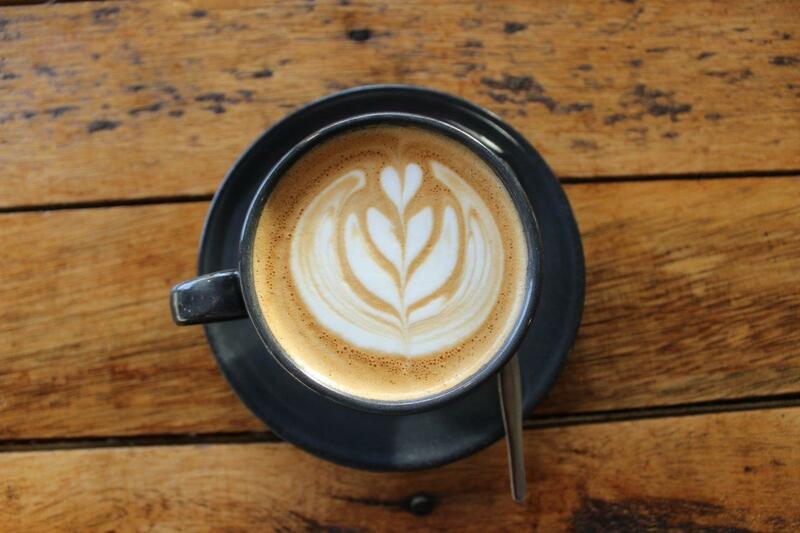 Open for breakfast 7 days a week from 7am, Lunch Monday to Saturday and Dinner Thursday through to Saturday. Check them on their Facebook, Instagram or website.